1. 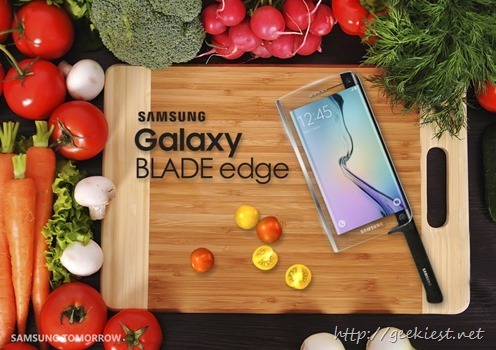 Samsung showed up a new phone like Samsung Galaxy 6 Edge, the new phone will be named as Galaxy BLADE edge: Chef’s Edition. 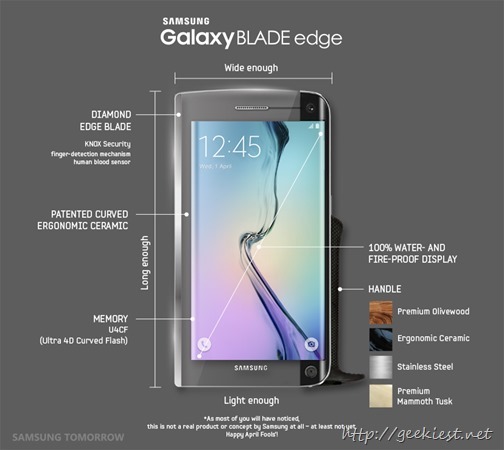 The main feature of this phone will be the edges. The edge of the phone will be sharp, so that it can be used as a knife.It is equipped with a razor-sharp diamond edge. 2. 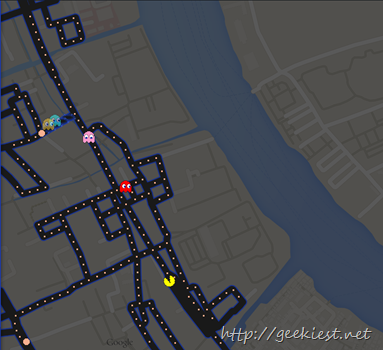 Google Introduced PAC-MAN game on the Google maps. This game can be played on both Android devices and Computer. On computer you can control using the arrow keys and on mobile devices you can swipe. On this game roads will be used as the path for PAC-MAN to move. Open Maps and search for a place where you think PAC-MAN will be available, you may have to zoom a bit to see it is available or not. 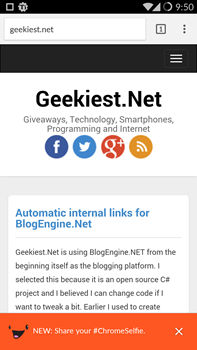 Or you may click the PACMAN on the bottom left part of the page. 3. 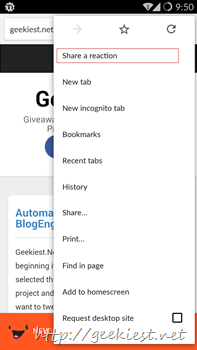 Google Chrome for Android now have a new menu item which says “Share a reaction”, this option allows you to take a selfie and Chrome will add the selfie with the screenshot of the webpage you were checking. 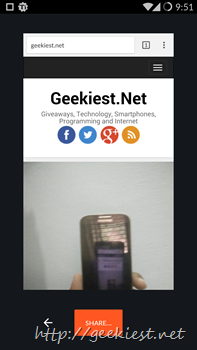 You can share the photo with your friends. This seems to be a April fool prank. 4. Google Smartbox by Inbox is an advertisement of inbox which shows a Smart mail box which can sort the mails automatically. It opens with a gesture and spam protection etc. The advertisement shows the physical mail box in the advertisement. Read more.